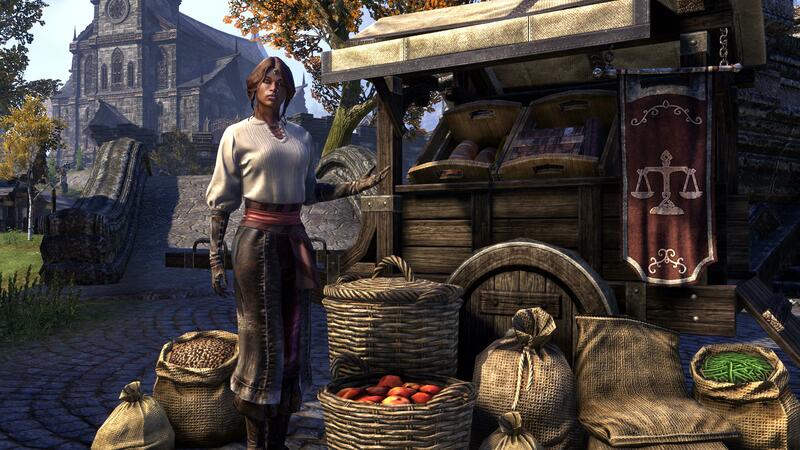 This alert merchant is on hand whenever she's needed, and will buy any non-stolen goods you or your group offer her. She won't come to Cyrodiil or Battlegrounds, though—too dangerous. When summoned, her services can be used by you and your groupmates.